This is a street side pocket park. 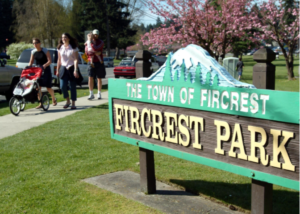 It is the site of the City of Fircrest reader board, a rose garden and a flagpole. 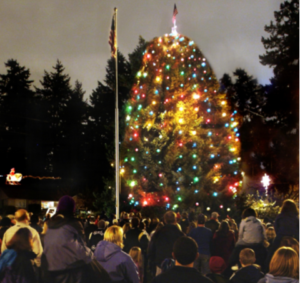 The Annual Tree Lighting Ceremony is held here each December. 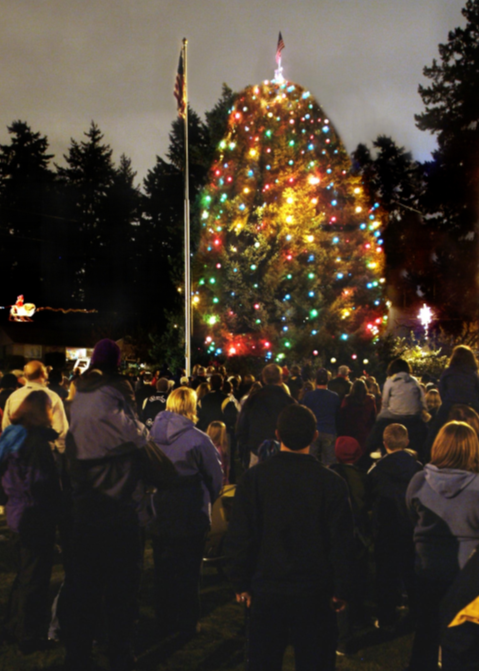 This 10-acre park is the home of the Community Center. It contains the pavilion which is used for staging events and picnics. 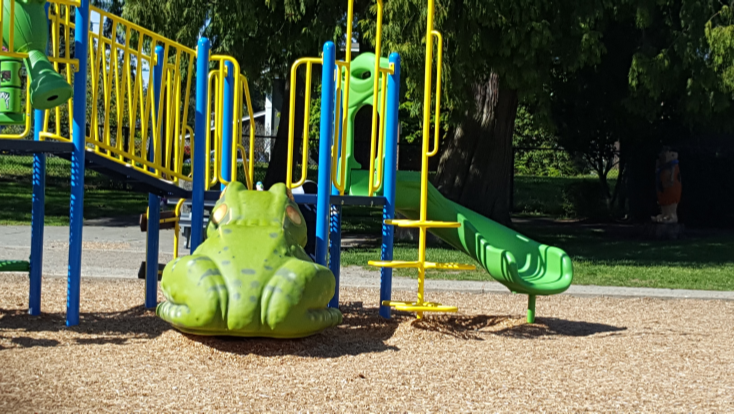 It also features baseball and softball fields, basketball court, children’s play structures and an outdoor swimming pool and children’s wading pool. 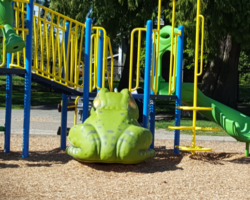 A jewel in the region, designed to provide outdoor play opportunities for children aged 1-6 years, it is one of the most frequently used park facilities. The Tot-Lot supports varied gross motor play in a safe environment that is appropriate for the developmental skills of this age group. It is completely fenced and has picnic tables and a restroom. Dedicated in 1960 in honor of a long time civic and community leader. Masko Park includes a rhododendron memorial garden for music composers, authors and artists. This natural park is located next to City Hall. 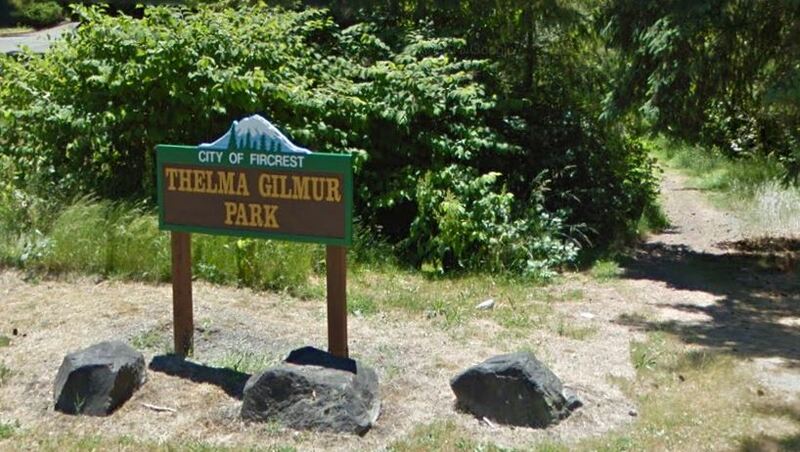 Thelma Gilmur Park is an undeveloped, 7-acre site featuring foot trails, interpretive signs, and lookouts around a diverse wetland environment, acquired by the City in 1975. It is surrounded by single-family housing on all sides, with the exception of a church to the northwest corner. This site is easily accessible from the north and east by adjoining streets. 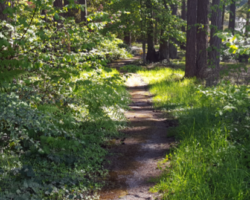 There are currently foot trails around a portion of the wetlands, predominantly on the east side of the slope down to the wetland, and is heavy in native grasses, brush, and trees. The wetlands have aquatic plant life consisting of reed grasses, cattails, and native willow. This park is a former sphagnum peat bog, which was mined for peat many decades ago. The open pond located in the center of the wetland is likely the result of the historic peat dredging. This diverse wetland community and a mature upland community provide an excellent habitat within an urban setting. 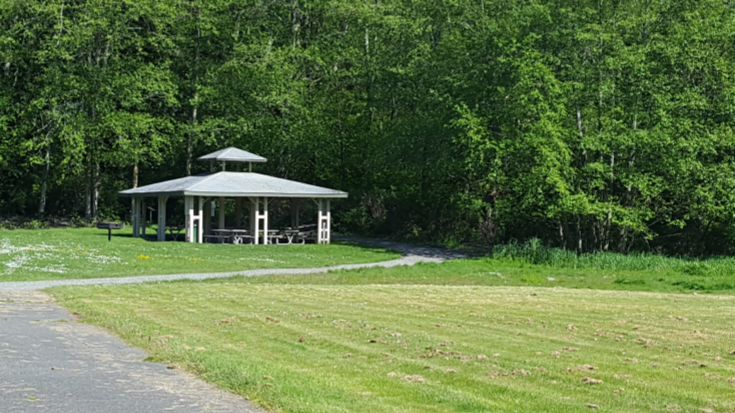 This Emerson Street park is the only wetland park in the City of Fircrest. 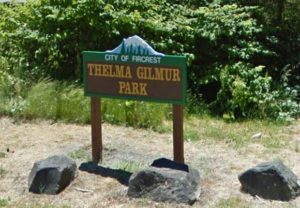 On October 24, 1995 the City of Fircrest dedicated the park to Thelma Gilmur, who fought vigorously to preserve the land and prevent it from being developed upon. This 13-acre playfield is adjacent to Whittier Elementary School. 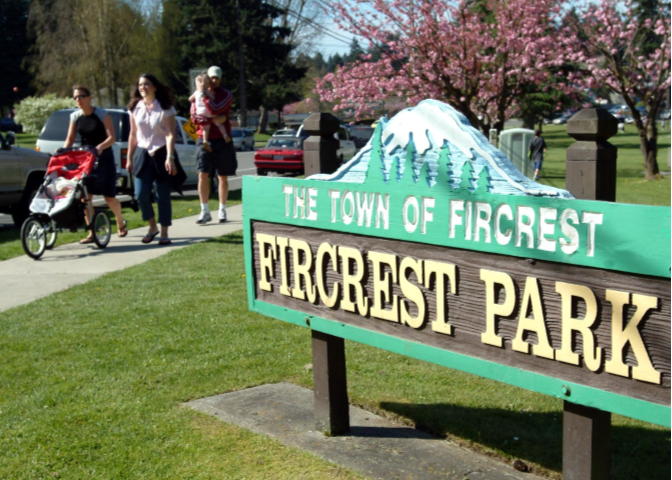 Vehicular access to the park is limited to the northwest corner only. The Park features a covered picnic shelter, bocce courts, a ball field, two soccer fields, tennis courts, one basketball court, horseshoe pits and restrooms. 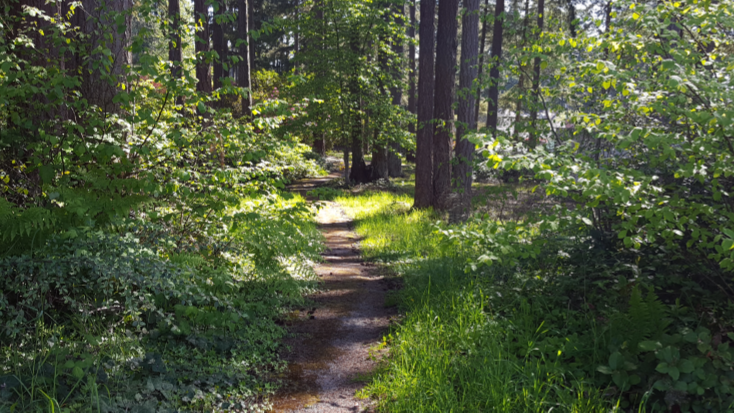 It is bordered by a nature trail system.